Dickinson is home to over 16,000 residents and is nicknamed “Queen City”. There are many advertising opportunities throughout the city which allow you to target your audience and gain new customers. 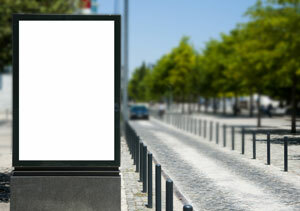 Utilize out-of-home advertisements near notable sites like the Dakota Dinosaur Museum or the Dickinson Museum Center which both draw in visitors from across the country. Target your audience with other outdoor advertisements on the campus of Dickinson State University where you can advertise for cheap billboard rates. The major highways serving the city also provide billboard possibilities to generate high traffic exposure of your business.